Are You a Reluctant Traveler? Bravo! Your presentation of your latest book was outstanding as was your prior talk on your first book. The photos of your visit for your son's wedding were lovely and really brought your experience to life, giving us all an up close and very personal view of everyday life in China. Thank you to Rochester Hills Public Library. Nancy Yuktonis Solak is an award-winning writer and editor. ​She is a certified affiliate of the Amherst Writers & Artists method and facilitates writing workshops. A freelance writer and editor for nearly three decades, Nancy has been a member of Detroit Working Writers since 1987. What Writer's digest says about welcome to here! Not all travelers are thrilled to be going someplace. That is the clear message sent out by Solak in her interesting book about journeying to China, which she has done three times so far and will no doubt do again. Studying Chinese and being in relationships with two Chinese women, the author’s son Matt is the key to Solak’s relationship with this ancient country. 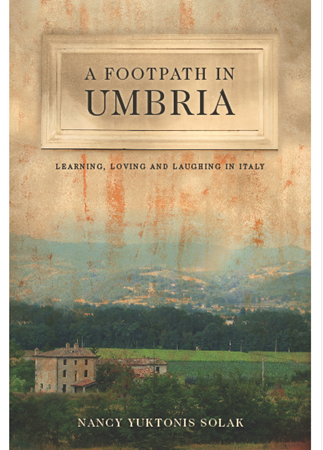 Perhaps the narrator’s reluctance to travel is much of what makes this book so interesting. She is a self-declared homebody, and anyone will guess that China cannot be the easiest country to navigate on any level. She shows that presumption to be true despite having her son by her side in China, who helps as translator and guide. There are details presented here that seasoned armchair travelers will find interesting, from China’s unsafe drinking water, frozen bottled water and lack of hygienic standards in many restaurants to the split pants on diaper-free Chinese toddlers who may or may not have an insect as a pet. The imagery presented in the early pages (as indeed the entire book) is startling: people going outside in the evening to beat drums or watch middle age and senior women exercise. I liked Matt’s family’s acceptance of Haiyan and her relatives. The narrator demonstrates her own empathy by reflecting on how hard it must have been for Chinese people to survive Chairman Mao’s failed policies, which starved more than 30 million citizens. Driving and trying to get across a street in China sounds like a good way to nurture a nervous breakdown. 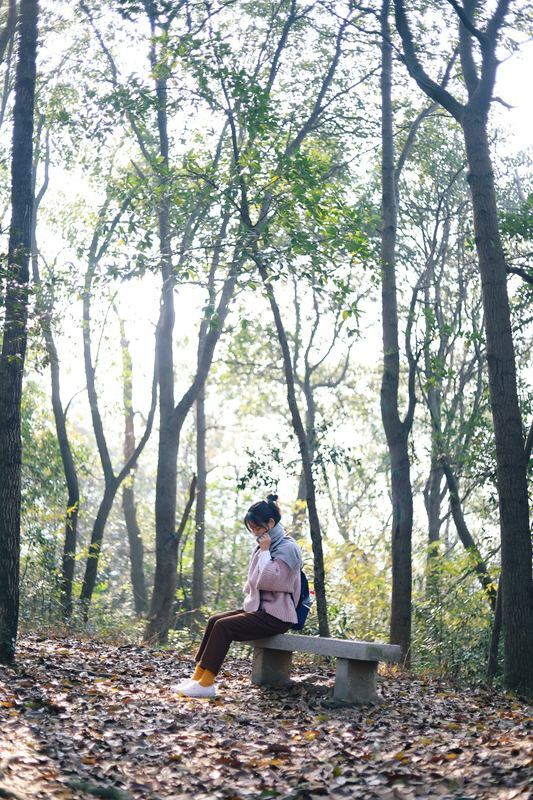 I appreciated so many aspects about this author’s voice including her confession of being on medication that has helped her cope with anxiety and allowed her to travel, her admiration of Lao-tzu, and her teaching in China at the age (then) of 67. One of my favorite scenes is the day in July of 2015 when Nancy is going up steps and her son finally acknowledges her efforts. I like her acknowledgement that others will respect limitations we put on ourselves. 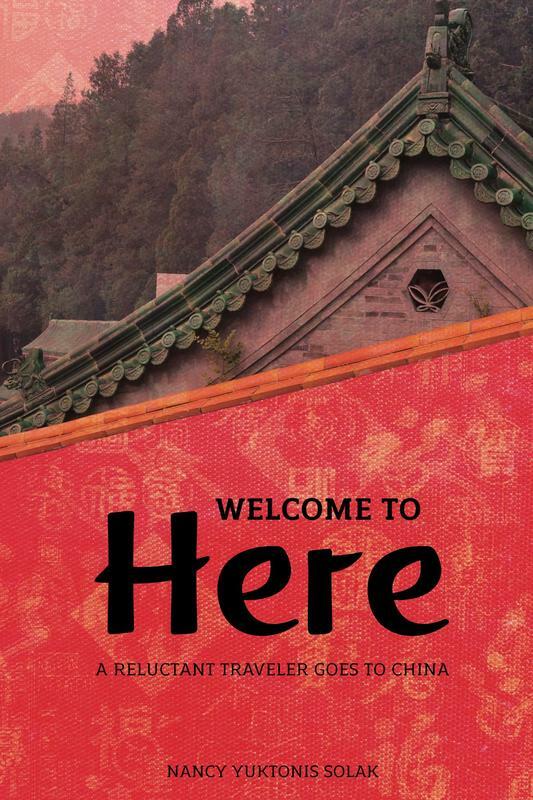 This is a truly illuminating book with much to encourage travelers who haven’t considered China and travelers who are older and might think that some challenges are beyond them. Solak’s perspective is bound to make readers rethink what they might be able to do if they give themselves half a chance. The pictures included were wonderful.